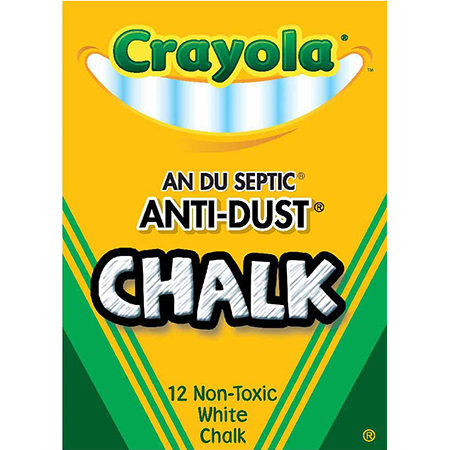 The Crayola® Anti Dust® Chalk is the chalk that you know and love, without the mess. The Anti Dust® Chalk sticks make, clean, smooth lines that are erase easily with an anti- dust formula so that the chalk stay s on the black board and off you and your clothes. Great for classrooms, or at home. 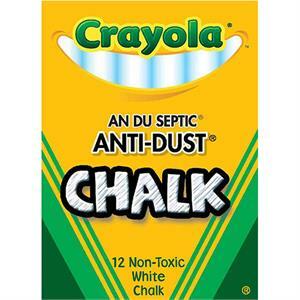 Anti-Dust® Chalk 12 count comes in white. Recommended for ages 4 and up. All Crayola® products are non-toxic and safe for children.